Aspen police say a member of a 12-step group assaulted a 75-year-old man who was attending a meeting at St. Mary Catholic Church on Saturday. 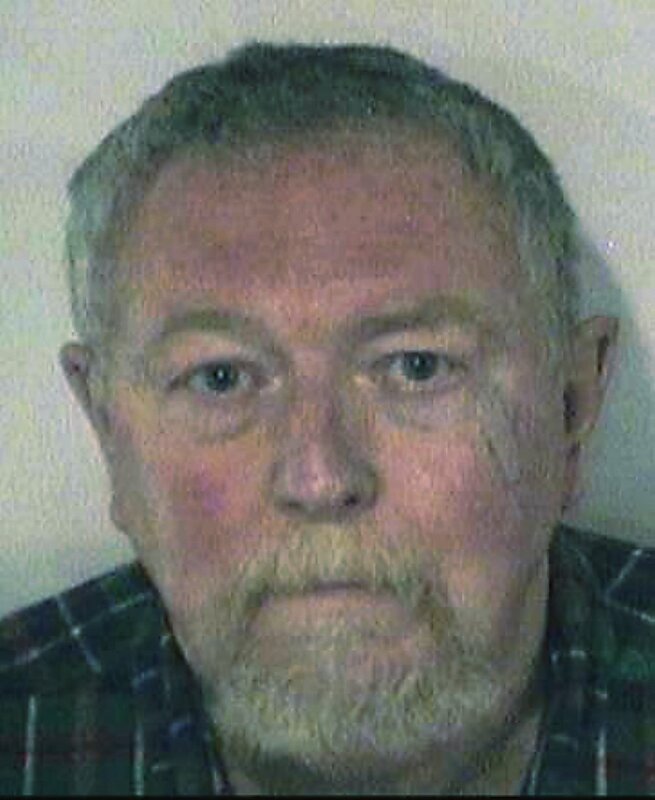 The suspect, Charles Abbott, faces a misdemeanor charge of third-degree assault. In a bizarre hearing Tuesday in Pitkin County Court, Abbott expressed remorse but also took aim at his alleged victim and his supporters, as well as the media. Abbott’s appearance regarded an emergency protection order that took effect after the alleged assault. Judge Erin Fernandez-Ely kept the order in effect until Abbott and the alleged victim meet again at a court hearing next week. Abbott, who needs a cane to walk, said he wants mediation; the alleged victim said he would consider it. But for now, accuser Michael Stranahan said he wants the no-contact order to remain enforced. Police cited Abbott, 67, after getting a call that he pushed Stranahan into a wall. Police tracked Abbott down in a nearby alley and issued him a ticket. Police also put the emergency protection order into effect. During the officers’ course of interviewing witnesses, another member of the support program said she too would be trying to get a restraining order against Abbott, according to Wheatley’s report. The woman said Abbott, at a previous meeting, grabbed her by the shirt and yelled at her. When she asked Stranahan for Abbott’s address so she could obtain a protection order, Stranahan obliged, the report says. And that’s when Abbott got upset and pushed him. Abbott told the judge that he is hopeful mediation can lead his former roommate and him to a better understanding. However, Abbott, who said he is closing in on one year of sobriety, said Stranahan should not have been attending the Alcoholics Anonymous meeting because he’s not an alcoholic. “In this particular case, Mr. Stranahan was attending an AA meeting, which in the final analysis, he had no business doing,” he said. Rather, Abbott told the court that Stranahan, once his roommate, needs a 12-step program for being a hoarder. Stranahan, however, didn’t want Abbott’s belongings to remain at Stranahan’s North 40 home. Abbott said it would take about “two van loads” to get his stuff out; the judge encouraged them to make arrangements to remove the items without Abbott violating the no-contact order. Abbott didn’t finish there. He asked the judge not to allow The Aspen Times to cover the event because of its “yellow journalism,” and he asked that two of Stranahan’s supporters not be allowed to contact him because they are “trouble-makers.” He accused one of Stranahan’s allies in attendance, Sy Coleman, of harassing him. “I have never had any interest in contacting Mr. Abbott at all,” Coleman told the judge. Fernandez-Ely didn’t address Abbott’s request to ban the media from the hearing and said she couldn’t issue a cease-and-desist order against what Abbott called Stranahan’s entourage. Abbott and Stranahan also attend the same church. Stranahan was agreeable to Abbott attending the same sermons when he is there, so long as they don’t have contact. Abbott and Stranahan appeared in court last year, but at the time it was because they were the victims of a crime. One of their roommates, Paul Peak, trashed Stranahan’s home on Christmas Eve. Broken were windows, computers and other items. Peak was sentenced to probation. Tuesday’s hearing concerned the protection order only. Abbott will answer the third-degree assault charge at another hearing in June.